1.Product Material: aluminum alloy, zinc alloy. 2.Surface Treatment: chrome plating, sandblasting, painting, anodizing, powder coating, electrophoresis. 4. Suitable for various industries: auto, machine, valve, pneumatic, etc. 5. Whole process including: Tooling, Die casting, CNC machining, CNC milling, Stamping, Plastic injection, Painting and powder coating, Customized cub-assembly. Based on quality products, excellent service, reasonable price and timely delivery, we welcome customers, business associations and friends from all parts of the world to contact us and seek cooperation for mutual benefits. If you are interested, please contact us to talk about the details . You need to send us your drawing or sample to make mold first. Then we quote you price, if price accepted, we will open mold for you and send you sample before mass production. 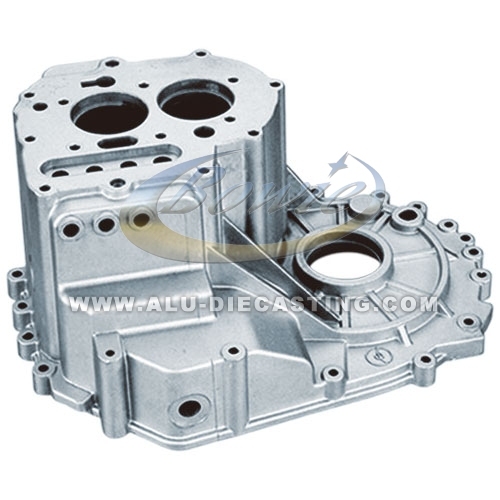 Looking for ideal Aluminium Die Casting Manufacturer & supplier ? We have a wide selection at great prices to help you get creative. All the Auto Gear Box are quality guaranteed. We are China Origin Factory of Automobile Parts Made by Casting. If you have any question, please feel free to contact us. Copyright © 2019 Ningbo Bowei Mould Metal Products Co., Ltd All rights reserved.